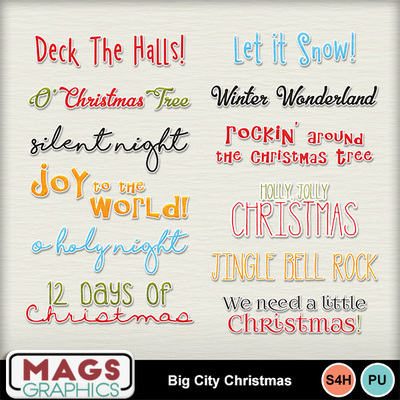 BONUS PACK to the "Big City Christmas" Collection - this set of 12 Large Song Titles will be perfect accents to your layouts! Each title is between 5"-6" long. Don't miss out on any part of this holiday series!